Anybody I know want this thing? 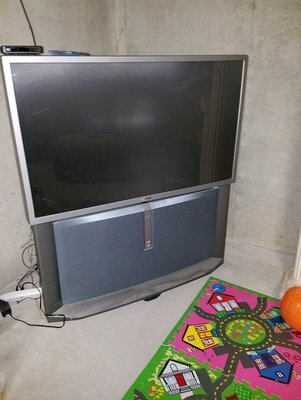 Man cave tv? It works fine, we just upgraded. Free if you come get it. I'm not dealing with Craigs or anything. If nobody wants it it will go to the next recycling event. this reminds me of so many days playing halo in highschool at a buddys house. It must weigh 2 tons. It's actually not very heavy. The only responses I've gotten are from @Twilliamson @Fenrir and Michael, all to blow it up. I don't want to pick up the pieces. Dropped it at the county recycling event.